Scientists have designed a nearly indestructible data storage disc that can store data for a million years — even if you barbecue it. Although the amount of data that can be stored has increased immensely during the past few decades, it is still difficult to actually store data for a long period. Jeroen de Vries from the University of Twente MESA + Institute for Nanotechnology , Netherlands, has developed an optical information carrier that can store information for extremely long periods, with each bit being written using etching techniques. The chosen information carrier is a wafer consisting of tungsten encapsulated by silicon nitride. Tungsten was chosen because it can withstand extreme temperatures . A QR code — a type of is 2D barcode — etched into the tungsten and is protected by the nitride. 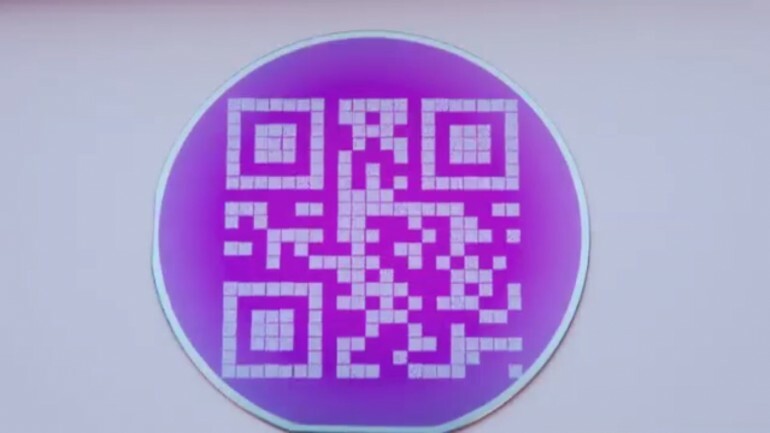 Each pixel of the large QR code contains a smaller QR code that, in turn, stores different information . In order to ensure the stability of the data , an energy barrier that separates the information from the non-information is required. Current hard disk drives have the ability to store vast amounts of data but last roughly ten years. To prove that the data is still legible after millions of years, an aging test is required . "According to the Arrhenius model, the medium should keep working for at least 1 million years if it is heated to a temperature of 200 degrees Celsius and kept in the oven for an hour," said De Vries. After the test, it was still easy to read the information .